Home » Blog » Are Curling Wands Better Than Curling Irons? There are many hair styling elements, some cause less heat damage than others. By elements, we mean tools used to create a specific look, such as blow dryers, flat irons, hot curlers, and curling wands and irons. Between curling wands and curling irons, which is better? “Better” as in allowing for a different look of curls for perhaps a special occasion or just a styling change for a different vibe. So, what’s the difference? Good question, a curling wand is a one-piece styling tool with interchangeable wands. 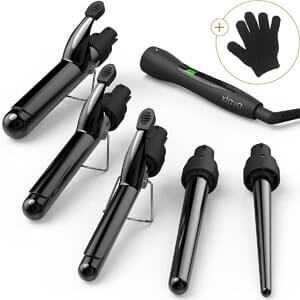 While a curling iron is a fixed heated styling tool with two round barrels. Using a curling wand or curling iron is something that women must prepare to use. The majority of hair problems, begin and end with heat damage. Avoiding all heat-related styling tools isn’t always possible or practical. When you want curls, which styling tool is better? Keep reading below to get the rundown on the two. The earliest use of curling wands, has a somewhat spotty past, who knows why? But there are three men associated with heat styling hair using hot tongs. Later on these “hot tongs” were later named, curling wands. 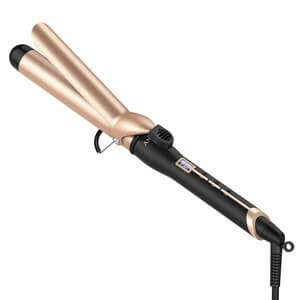 A curling wand is simply an updated version of the original hair tongs first introduced in 1866. Back in the day, an American born man received the first patent for the device. He was also recognized as a citizen of the UK, named Hiram Maxim. Then, Frenchmen Maurice Lentheric and Marcel Grateau expanded the concept of applying heat to hair, making Marcel waves. Which of course soon amplified using hot tongs for the era of time known as, “the Roaring Twenties.” During the 1920s, Marcel waves in hair were the rage and curling wands were in high demand, all over the US. Why was this so important? Because it brought about a change in perfectly straight coiffed hair, with many girls and young women actually preferring to have a more curly look. One that lasted until their next shampoo. Curling wands are not recommended for extremely short or short hair, they work best on medium to long hair. The heating element is less likely to cause fried hair due to overexposure. It’s ideal is to use a good heat protecting spray, after shampoo, conditioner and a blow drying method. Start with completely dry and not damp. Once hair is moisture free, separate hair into sections, then take the selected strands and wound each one around the barrel. For big voluminous curls, use thick strands for tiny corkscrew curls, use smaller strands. When using a curling wand the biggest difference is that the strand size determines the curl pattern. 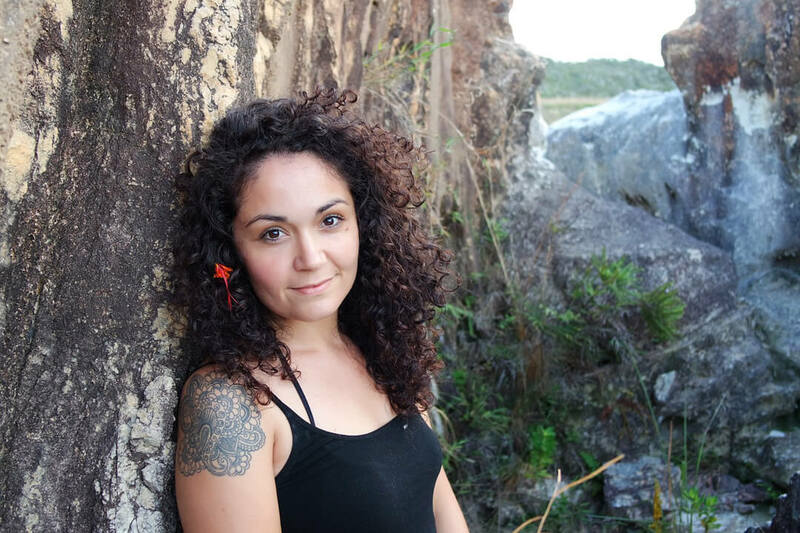 Want to control frizz? Then a curling wand is the correct styling tool. Use a wand for any look where you want loose spirals, pin curls, ringlets (yes, think Shirley Temple) or big, bouncy loose curls, with increased volume. Unlike curling irons, curling wands don’t compress the hair by holding the heat steady on the strands. To keep wand curls overnight, secure the curls with hairpins before bedtime. In the morning, slowly uncoil each section and finish with a glossy serum, if preferred. Curling wands stop short of curling the tips. This is the primary reason that they’re best at preventing heat damage from over styling. The ends or tips of hair strands are the most fragile because they’re older than the part next to the hair follicle. This is “new growth.” The hair tips or ends are more prone to heat damage than the new growth because they’re older and drier. Contemporary curling irons appeared in the middle 19th century by Rene Lelievre and Roger Lemoine. This was the first time that heated hair styling tools were powered by electricity. Curling irons work great on short or super short hair. For any hair type, for women of all ethnicities. They ’re recommended for making tiny coils, great for when small detail work is needed for precision curls. Tight coils or small curls can last up to a week when combined with a setting or finishing spray. It seems every society, dating back to the Ancient Egyptians and during the Victorian Era, they used some form of curling irons. During the olden days, a wood stove or gas burner was required to heat the element to style hair, wigs, and beards. Now fast forward to modern times and the curling iron has taken on a life of its very own. but not the root. Yet with a curling iron, you apply tension to hair and start from the root. Another way they differ as to whether to apply conditioner or not. With a curling iron, less is better. In other words, sparingly apply a small amount of conditioner, or else you’ll end up with limp curls or hair they can’t hold a curl. Curling wands vs. curling irons, which is better? Depends on the desired curl pattern. French hair stylist, Francois Marcel was credited with creating flat curls, called, finger waves or “ Marcel waves,” in 1872. Later in America, the hairstyle actually inspired the “Flapper girl” bob look of the 1920s. Curling wands are used to create loose curly styles, with lots of volume. Strange enough Hollywood loves a good curling wand. There are now established names for curling wand styles, you can get beach waves, old Hollywood waves, loose and free-flowing waves or waves just on the ends or really unstructured tousled waves. Curling irons make straight hair appear curly. They’re for women who prefer smaller, bouncy waves. Today, they’re used to style fine or coarse hair, and also braids and wigs. On a low heat setting, curling irons make defined curls in both human hair and synthetic wigs. 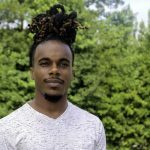 Some African-American hair stylists use a technique with a curling iron called, “bumping.” Bumping is using the heat from the iron to release the curl pattern without chemically straightening or producing a curl. It’s applying just enough heat the soften the coarse pattern, without using a flat-iron or straightening comb. Making it easier to comb and style.